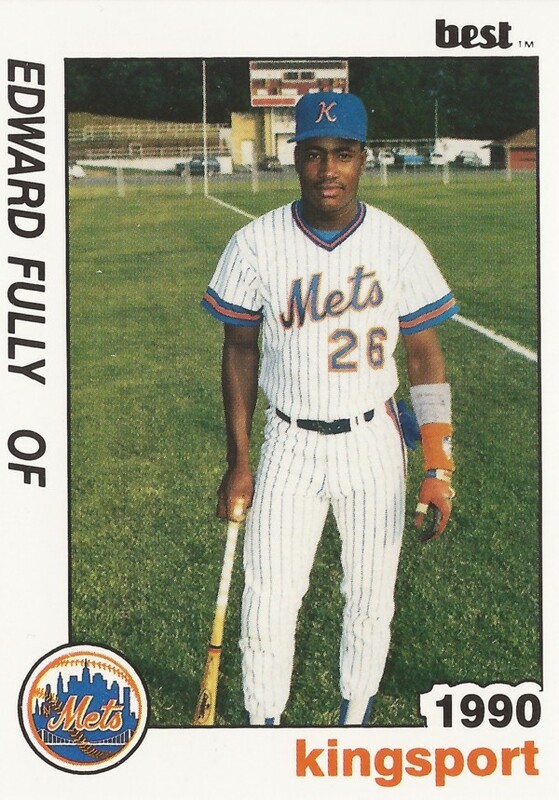 The St. Lucie Mets won this September 1993 playoff game in now small part because of Edwards Fully and his ability to bunt, according to The Palm Beach Post. A bunt - with some help - cleared the bases in the fourth inning. A ninth-inning but then won the game, The Post wrote. "It was a perfect bunt," manager John Tamargo told The Post of the game-winner. "He's bunted well all year. He didn't get the ball out of the infield, but he had the biggest hits of the night." Fully executed those bunts near the end of his fifth season as a pro. He went on to play in three more seasons. He made AA, but he didn't make it higher. 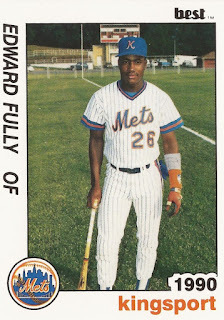 Fully's career began in 1989, signed by the Mets as an undrafted free agent out of his native Dominican Republic. Fully was also credited as Edward Fully and Ed Fully. Fully started with the Mets in the rookie Gulf Coast League. He moved to rookie Kingsport for 1990, hitting .278 over 66 games. Fully made single-A Columbia for 1991. He hit .277 and made the league all-star team. Fully spent 1992 and 1993 at high-A St. Lucie. He knocked an RBI double in a June 1992 game and a home run in July. He hit .252 his first year there and .239 in his second. Fully made AA Binghamton for 1994, then briefly returned there in 1995. He then moved to the Orioles and played at high-A High Desert and AA Bowie. He hit a three-run home run for Bowie in a July game. He hit .218 overall in 34 games there. Fully's final pro time came at independent Bend in 1996. He got into 13 games, ending his career.